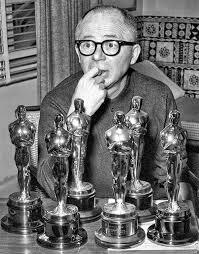 CASINO ROYALE (1967), THE EMPEROR WALTZ (1948), BUDDY BUDDY (1981), THE BISHOP’S WIFE (1947), A SONG IS BORN (1948), HOLD BACK THE DAWN (1941), ARISE MY LOVE (1940), MIDNIGHT (1939), THAT CERTAIN AGE (1938), CHAMPAGNE WALTZ (1937), PEOPLE ON SUNDAY (1930), DEATH MILLS (documentary, 1945), THE SPIRIT OF ST. LOUIS (1957), MAUVAISE GRAINE (1934), KIDNAPPED (acting role, 1938)….plus more! For all of those reasons and because we’re girls gone Wilder, Kellee @Irishjayhawk66 of Outspoken & Freckled and I (Aurora) @CitizenScreen of Once Upon a Screen are beside ourselves with excitement to announce The Billy Wilder Blogathon. This will be a one-day event to celebrate this master’s work on what would have been the 108th anniversary of his birth on June 22. And we hope you are willing and able to join the celebration. 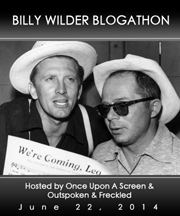 Entries for this event can be anything Wilder related – commentaries on his films or television work, created by his pen or from his place behind the camera. You choose, blog and post and we’ll be sure to enjoy it. Following is the complete gallery of banners for this event. All were conceived, designed and delivered by Kellee. Hi, Aurora! Can I sign up for Ace in the Hole? Yes! WoooHooo Thrilled you’ll be joining us! Hi Aurora, was wondering if i could write something about The Apartment? You got it. Welcome aboard! Can I participate and sign up for Kiss Me, Stupid? I need to revisit The Lost Weekend, you have just given me the motivation to do so. It was difficult to decide but… can I have Irma La Douce? Ooh… How about The Major and the Minor for me? Thank you! Already taken. 😦 hope you’d consider another. I’ll go with Witness for the Prosecution, then? 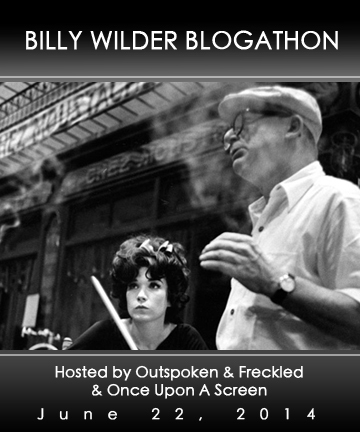 Aurora, we love Billy Wilder’s films, and we’d love to blog about ONE, TWO, THREE! Please let us know if it’s available! Hooray! 😀 Thanks, Aurora! Billy Wilder is The Man here at Team B., and we’re looking forward to the Blogathon, big-time! Hiya Aurora. May I participate with ‘Double Indemnity’? 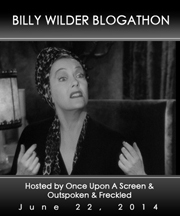 Love this blogathon Aurora! Please could I write about Ninotchka? I didn’t realize someone had already called my choice, so I’ll go with Five Graves to Cairo. Hi Aurora — I asked Kellee if I could do “The Private Life of Sherlock Holmes.” Just wanted to let you know too and see if that’s OK.
Been thinking about you, Becky! I’m so happy you’re joining us. It’s A-O-K! I may have signed up for this already. Problem is I can’t find with I did. My mind must be going (LOL). Anyway put me down for BALL OF FIRE. LOL! I knew what you meant. 🙂 You let Kellee know. I’ll add you to my list now. So happy you’re joining us, John. Are you allowing doubles? 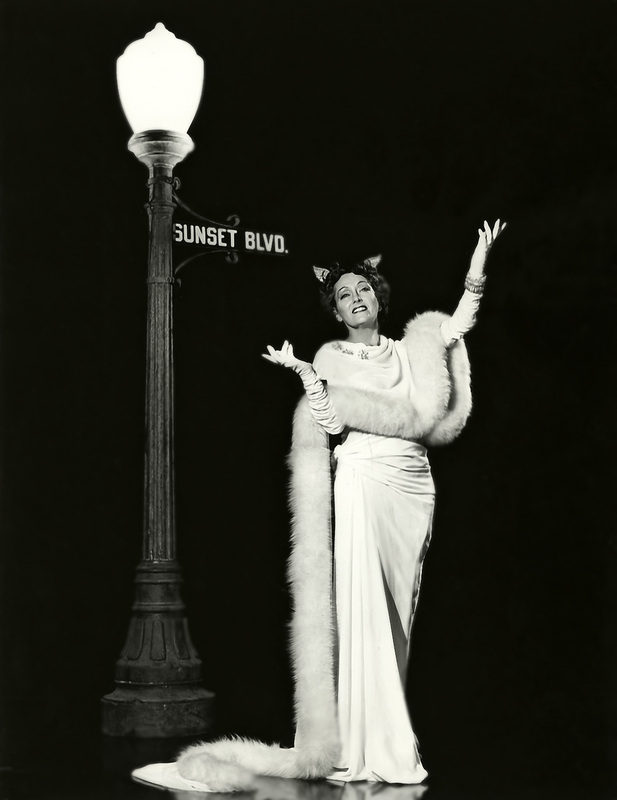 I was also hoping to nab SUNSET BOULEVARD (1950). Okay okay, just kidding! 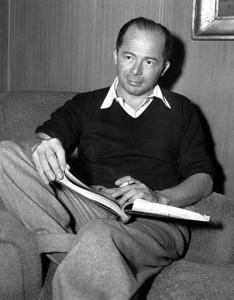 Can I write about the movies he made with BD – JEZEBEL (1938), THE LETTER (1940), and THE LITTLE FOXES (1941)? All right, third time’s a charm – May I write about THE FRONT PAGE (1974)? You got it. 😀 Love that. Hurrah! I have my assignment. Phew. Pingback: The Billy Wilder Blogathon | Make Mine Criterion! Hi! I would love to do Avanti! You got it! Please give me the name/ URL of your blog when you can. How exciting! I absolutely love billy wilder! Ill have to get to it! 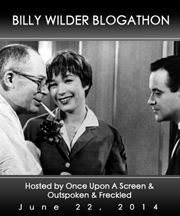 Do we have to limit our post to one billy wilder work? I don’t know if I can narrow it down. May I still participate? Or are all the spots taken? I would like to write a post either on Sunset Blvd. 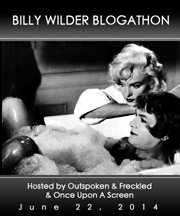 or on Jack Lemmon’s work with Billy Wilder (principally Some Like It Hot and The Apartment). If I can’t sign up this time, I’ll still be happy to give a shoutout on Twitter! 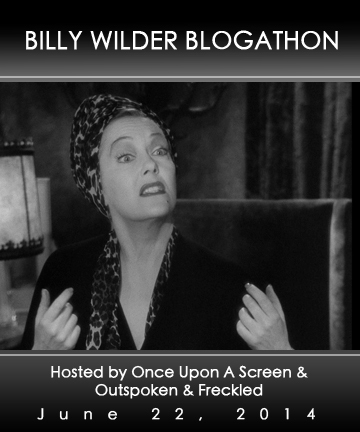 And I will definitely write something about Billy for his birthday! Yay! We’d love for you to participate. Since we wanted to cover as many Wilder films as possible – both those he directed and wrote, we’re trying to avoid repeat choices. 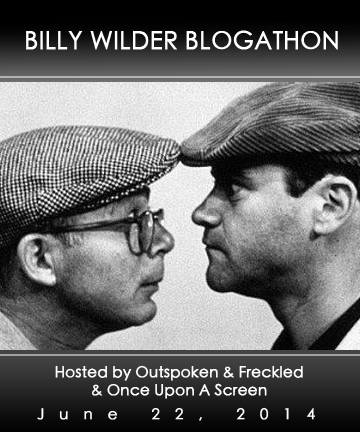 All the films you mentioned have already been spoken for, but if you did a post about Lemmon’s work with Wilder in general, which includes those films I think that’s fine. Does that make sense? Let me know what you think. Otherwise, there are many movies Wilder wrote that are still available. Thank you! I’d like to do a little post on Billy Wilder’s working relationship with Jack Lemmon, which would of course include all their films (but primarily Some Like It Hot and The Apartment). But if you want each person to profile a single work, then I’ll do Midnight (1939). Just let me know! Thanks! OH! I’d love to read about MIDNIGHT! I’ve never seen it. If that works for you it’s PERFECTION! Alright. Ill do Midnight. Yay! I’ve never done this before, so I may have a couple questions. Ill post my entry in the next couple weeks. But when I do, where do I send the link? My blog, by the way, is [This] Girl Friday. 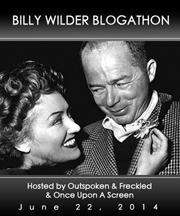 Hi Aurora, I run a blog on classic Hollywood correspondence and have a letter from Jane Wyman to Billy Wilder regarding “The Lost Weekend” that I haven’t posted yet. 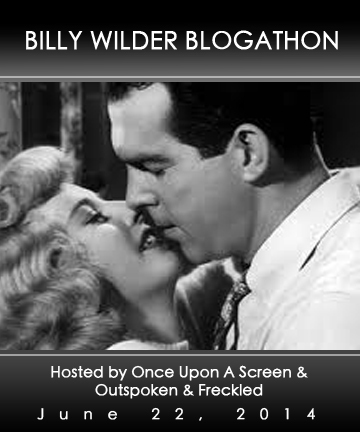 I thought it might be a nice entry for your blogathon. So, I won’t be reviewing the movie ( I see somebody else is doing that already), but I would like to contribute in my own way. Let me know if I can join. Thanks! Hi, Clarissa. Yes, that sounds amazing!! I’ll add you to the list in the morning. While we prefer no repeats, that’s a different take/ perspective. This sounds awesome–and like a great excuse to watch “Bluebeard’s Eighth Wife”! I would love to do a post on that if it’s still available. I’ll take the Seven Year Itch. Hi Melanie – Sorry for taking so long to respond. I had to check with Kellee because The Seven Year Year was already chosen. Sorry about that I just didn’t add it to my list in time. I hope you’ll consider another movie. No problem. How bout Rhythm on the River? I’m not sure I’ve got the format correct for you. I picked the large Stanwyck / MacMurray logo. Thanks so much, Cindy! I’m so impressed with your diligence. Haven’t even starting thinking about my post yet. Just know we won’t be promoting the write-ups until the 22nd, Wilder’s birthday. ‘Ninotchka’, ‘Double Indemnity’, ‘Some like it hot’ etc etc all taken. Since I am a fan of Audrey Hepburn please may I have ‘Love in the afternoon’. Yes, of course. It’s usual that the more popular movies go first and fast. Thank YOU! So excited! We’ll be promoting all posts on Sunday via Twitter. Do you have a twitter account? If so, please give me your tag so we can include in the mention. Sorry am not on Twitter yet. I guess I ought to get an account. Yes you should. It’s a great way to promote your blog. PLUS there’s a wonderful community of classic film fans there. 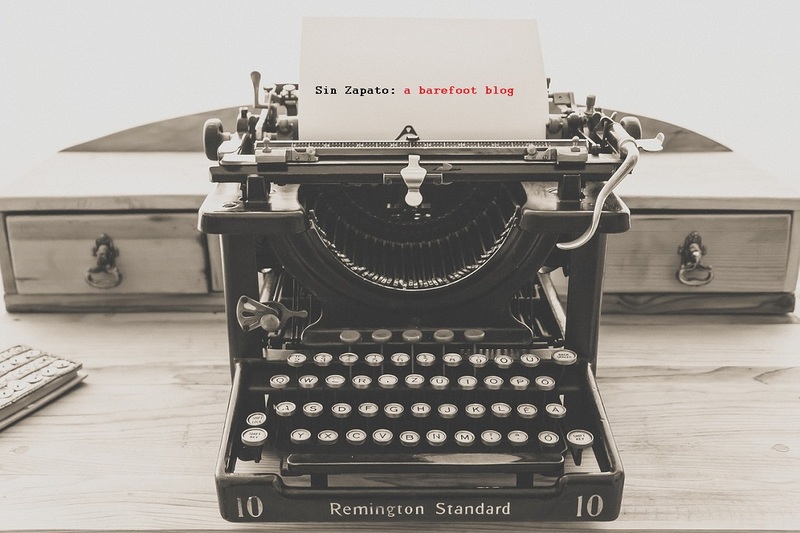 Hi – I left a comment on the 6th about writing on “Bluebeard’s Eighth Wife,” but I haven’t heard anything. I’d love to, if it’s still available. Also – the link to your blog site is not working. If possible please include the link in a comment. Pingback: Kiss Me, Stupid (Billy Wilder, 1964) | Make Mine Criterion!